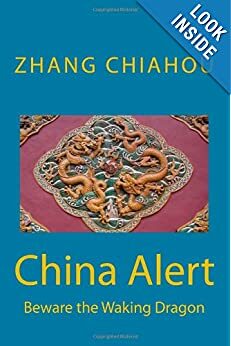 · 1899 – Boxers are defeated by Qing, but Dowager Empress Cixi decides they might be useful to her, and sets them task of killing all foreigners in China. · 1900 – An international force – from eight nations including Britain, USA, Russia, Germany and Japan – arrives in Beijing and routs Boxers. They go on to ransack Summer Palace a second time. · 1911 – 10 October, Republic of China formed. · 1912 – Qing dynasty never recovers from humiliations of last 70 years, especially 1900, and finally collapses. 10 October Sun Yatsen founds Kuomintang (KMT – Nationalist Party) and takes control of new republican government. To avert civil war he offers presidency to Yuan Shikai, former head of Qing armies, and warlord of Northern China. · 1913 – Yuan dissolves republican government and sends Sun into exile again. · 1916 – Yuan’s sudden death sends Northern China into civil war, while Sun returns to take control of KMT government in South China. · 1921 – Chinese Communist Party (CCP) formed. Early members include Mao Zedong, and Zhou Enlai, Deng Xiaoping joins as CCP Youth League member in France. At insistence of Soviet Union, CCP joins KMT to fight Northern warlords. · 1925 – Sun Yatsen dies. Chiang Kaishek now in control of KMT. · 1927 – After jointly defeating Northern warlords, CCP organises a strike against Chiang and KMT. They are brutally suppressed; around 5,000 people are killed. · 1934 – The Long March: Encircled and outnumbered, communists flee, marching c10,000km and crossing dozen mountain ranges. Many die, but they succeed in regrouping and establishing base in Yan’an, Sha’anxi. 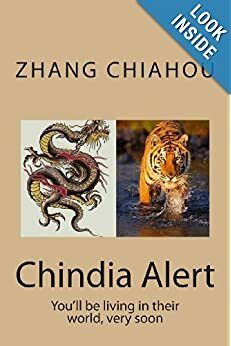 · 1936 – Chiang famously said: “The Japanese are a disease of the skin, the Communists are a disease of the heart” and wanted to focus on defeating Communists first. His generals Zhang Xueliang and Yang Hucheng disagreed and kidnapped him, forcing him to agree to United Front with Communists against Japanese. · 1937 – Sino-Japanese War starts. · 1937-45 – United Front ends when Chiang stops distributing US arms to Communists. During war KMT retreat westwards to Chongqing as eventual war-time capital; while CCP retreat to countryside. · 1945 – Japan surrenders in China war theatre. · 1945–49 – By end of WWII KMT had bankrupted China while CCP had built strong, national following from rural bases. Est. civilian deaths – 10m and military – 1.3m. · 1949 – Chinese Liberation Army takes Beijing and on 1 October 1949, Chairman Mao declares at Tiananmen Square foundation of the People’s Republic of China defined constitutionally as a ‘people’s democratic dictatorship’. Sorry to barge in, but reading your piece about the 中國強 nsrakees reminded me of this.Taiwanese general who fought against Japan in 1930s dies at 103 International Herald TribuneThis is a AP report originating from their Taipei bureau yesterday. I picked up the link in IHT, but a search on YAHOO gives six or seven different newspapers carrying the same AP report.I scratched my head wondering how a TAIWANESE general could have turned up in the KMT army fighting the Japanese in the 1930’s. But the content of the article corrected the falsity contained in the title line.I think that title line should have read. : “KMT general……” and for the sake of geographical precision, “….dies at 103 in exile on Taiwan.”This title line is misleading and I wonder whether it was intended for mischief or the result of sloppy news writing. Funniest of all is that, even the “China Post” carried that same title line without even blinking. And I who thought that at the “China Post” they were staunch defenders of the KMT-ROC on Taiwan. Go figure. Shifa – thank you for your comment. BTW – I’m not sure I said anything about 中國強 (China is strong). At least not on the page your comment refers to.